Last week, I caught some of The Prizefighter and the Lady on Turner Classic Movies. It stars Max Baer, who was a top heavyweight contender at the time, in his first movie role as the Prizefighter, and Myrna Loy as the Lady. It was made in 1933 and received an Academy Award nomination for Best Writing, Original Story. Generally speaking, it still gets good reviews. Admittedly, I didn’t see that much of it, but from what I did see, it seemed much more interesting now as a piece of history than it did as a movie. 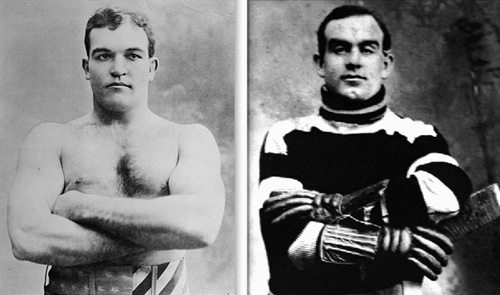 I won’t go into the plot, but it builds towards a big fight scene at the end where Baer’s character (Steve Morgan) fights the real heavyweight champion of the time, Primo Carnera. 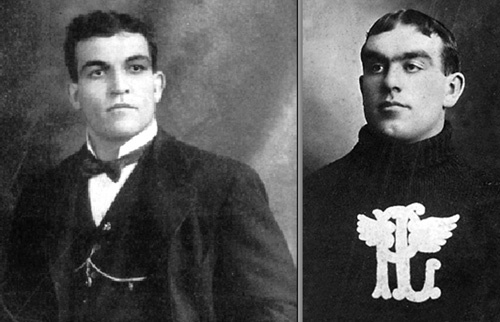 (In real life, Baer would beat Carnera for the title a year later.) 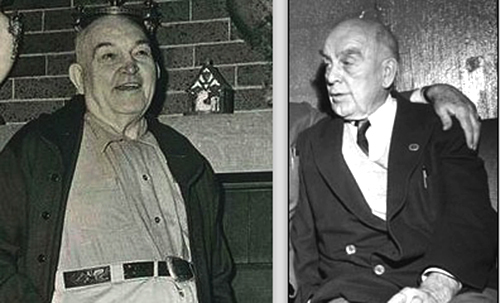 In the film, the fight is promoted and also refereed by Jack Dempsey playing himself, and before the bout begins Dempsey is joined in the ring by other legendary heavyweight champions of the past, Jess Willard and James J. “Jim” Jeffries. 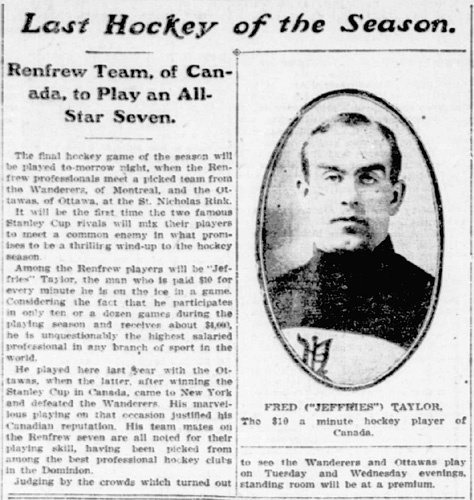 I recognized Jeffries right away from his strong resemblance to hockey legend Cyclone Taylor! Chinese Theater in Hollywood. W.S. Van Dyke, who directed The Prizefighter and the Lady, would later direct Powell and Loy in the first of “The Thin Man” movies. returned to New York as a member of the Renfrew Millionaires. You did a good job of combining hockey and the Academy Awards. Maybe a little far fetched, but very interesting and the pictures are great. Sorry but, when I hear Max Baer, I can only think of Jethro Clampett. That’s his son, Max Baer Jr. … but I’m sure you’re not alone! Since Loy won an Honorary Oscar, you could say her performance as The Lady had helped “win” her the statuette…. I enjoyed this, Eric! Didn’t think I had anything left to learn about Cyclone, but I didn’t know this story! Boy, I was ready to pounce on this like the cougar on the bluff. Your Hockey Night book is on the shelf. My favorite movie actress is Myrna (with Ida Lupino as the back up), and I own “Prizefighter” – on laser disc, yet – and all the Thin Mans. After blowing up the clip 4X… after all these things, all I could come up with was “Geeze, am I ancient, or what? !” Sorry, my friend. And, you know, I’ve always liked Myrna Loy myself … and I’m a few years less ancient!